Hot flushes, low energy, ageing skin, anxiety, disrupted sleep, weight gain (and breathe!) – just a few of the common symptoms that can plague women during menopause. Embracing the 7 steps of The Natural Menopause Road Map, understanding why and how these changes can make a difference to how you look and feel, will inspire you to continue on your natural menopause journey. The Vibrant Life Classic is a lifetime access membership programme designed to help you to not just manage your symptoms, but also achieve long-term health and weight-loss goals in a natural way. Gently guided week by week, you get to work at your own pace, fully supported throughout to ensure the changes you make are right for you. If you want to gain maximum results in the shortest time possible then the Vibrant Life VIP programme may be for you. It includes regular personal 1:1 support from Clare which will inspire, motivate and help keep you on track. Request your free 30-minute consultation so you can decide which programme would suit you. Just like seedlings, every cell in your body needs to be fed, watered and have the perfect environment to thrive – not just survive – in. Nature provides an abundance of all the nutrients you need to help you create hormone harmony, gain maximum strength and achieve your full health potential. Nuture your body and your mind. 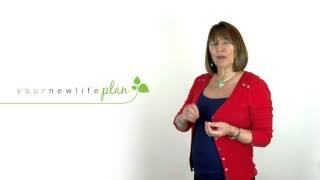 The YourNewLifePlan health programmes encourage eating natural foods throughout. The one-size-fits-all approach to health and well-being just doesn’t work. The tools and strategies you need are totally unique to you. However, the basic foundation stones need to be firmly in place before exploring what strategies will work for you in the long term. It’s time to accept and embrace your individuality, put yourself first and do what’s right for you. We believe that personal support makes all the difference to the success of your journey. You don’t have to manage your chaotic hormones alone. When the going gets tough, we support you through it. We provide you with ongoing reviews that should inspire you to stick with the programme. Having the correct knowledge, tools, strategies and support underpins our ability to make the correct choices. Taking key steps to balance our hormones and achieve our optimum health potential allows us to show up stronger for ourselves, our family and our community – back in control and confidently living a life of passion, purpose and freedom. Do it, it will change your life. It’ll change your attitude to food and exercise and make you think twice about what you put in and on your body. It’ll teach you about goal setting and positive thinking… what it’s worth is difficult to put into words. Understanding what to eat and drink, why, how much and when is vitally important to both body and mind. Knowing this helps set the strong foundation stones essential for hormone harmony, happiness and health. The Vibrant Life Classic membership gently introduces you to the foods that nurture hormones, body and mind. PLUS all members have access to the Vibrant Life VIP which includes menu plans, shopping lists and recipes. Have a particular medical condition or concern? The Vibrant Life programmes provide you with the flexibility and personal support you need to ensure you’re eating exactly what’s right for you. Which exercise is best for your age and/or health condition? How can you achieve optimum results safely and effortlessly? Exercise can be FUN and doesn’t have to involve expensive gyms or hours on a treadmill to lose weight, gain strength and avoid long-term chronic health issues. Exercise that served you in the past may well now be contributing further to your chaotic hormones. We show you the most effective exercise programmes for menopause in our easy-to-follow videos. Feeling like you can’t control your physical and emotional symptoms, weight or health goals? Are you fearful of failure? Do you feel guilty about investing in yourself? Is lack of time your enemy? Do you feel unworthy? What’s stopping you from making the changes that you know will help you? Setting realistic goals and having a positive mindset are vitally important for success. Vibrant Life membership will help you identify your roadblocks. While working through the Vibrant Life membership you will have all the coaching and support you need from 1:1 or group mentoring calls. You also have access to a 24/7 private Facebook group and to an extended team of experts who can answer your questions. Confused by all of the information out there about hormones and health? Does it feel like you have all the pieces of the jigsaw but can’t quite put them together to make a complete picture that’s right for you? You may have heard that ‘knowledge is power’, but we believe that it’s the application of knowledge that is power. Vibrant Life membership offers a wealth of information throughout the course of the programme, plus regular newsletters, videos and posts covering common menopause health concerns. All enabling you to make informed choices to ensure your long-term success. How do you know that making nutrition and lifestyle changes will work for you? We are all unique with unique needs and we recognise and honour that. The YourNewLifePlan team – including qualified nutritional therapist Clare, a GP and life and exercise coaches – are all committed to ensuring your success. Throughout the programme, we are here to provide you with the knowledge, support, tools and strategies you need to naturally manage menopause.